If you haven't done so already, check out Wave's award-winning story, "my father's day", and return here for a conversation with the author! 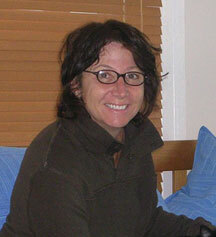 WOW: Congratulations on placing in the Winter 2010 Flash Fiction Contest! How did you begin writing this story? Does it end the way you thought it would end when you began to write it? Wave: well, i guess it's time for me to fess up to the truth about the fiction...it was only after i submitted my story, that i realized it was a FICTION contest...silly, of course, but it was too late...i just let it go, not expecting to make the top ten...when i discovered that i did, i began to worry. you see, my story was real. every drop of it. i wish i could say i changed the names, or something, but i didn't. i wrote it as a gift to my father in memory of his birthday. i posted it on my blog, but it was only part one that i submitted. WOW: Whether as fiction or non-fiction, it is definitely a compelling story and we’re very happy you shared it with us. Is there a reason you chose to write your story without using capital letters, and if so, could you share why you’ve chosen this style? Wave: the lack of capital letters began from the combination of experiencing them as useless, in general, and the enjoyment and ease of typing as quickly as my mind moves...of course, when i have to write a business letter, i'm all about the capitals. WOW: Which authors/books most influence your writing? Wave: at this moment i don't know what authors and books influence my writing. i write as i speak. i love to read, but the books i most love, are not in the style that i write. WOW: Your bio says that posting on your blog has been one of your most rewarding and healing aspects of your life. Could you describe in more detail how writing has been a positive experience for you? Wave: since the time i was diagnosed with metastatic breast cancer to my bones, 5.5 years ago, many of my former physical outlets were limited. i spent a lot of time hanging around in bed. at first, i began to blog as a way of sharing my medical information with my friends and family...soon enough though, i realized that i wanted to share a lot more about my experience, including my personal history, relationships, and thoughts about life and death...i began to post more often and was happily surprised to learn that there were a lot of people interested in my experience of life. i love the process, and feel like i'm missing something when i don't post for a few days. it has been a tremendous relief and release for me to share my journey through the written word. WOW: When I hear stories like this, I am again reminded of the mysterious powers of writing. I am so happy to hear that you have been able to tap into this power and find some relief through writing. What goals do you have for yourself as a writer, or what do you hope to accomplish as a writer? Wave: in my ideal fantasy, my blog would become a book. i'd find a great editor, or a great editor would find me. since i've already lived past my expiration date, (knock wood) i don't have a tremendous amount of ambition for my writing beyond continuing the blog, and perhaps the book. WOW: Keep writing – you never know what will happen! Thank you for the interview and your open, honest answers!